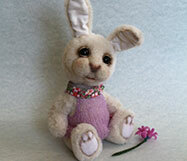 Teddy Bears made by Mrs.Irina Saraeva welcome you! 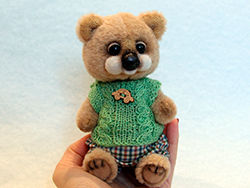 Teddies that are displayed on myteddy.ru are made from various materials, mostly from German mohair. Each of them has it's own character and background. You can have a look on all of them on the page Works Some of them have been living in private collections already. Others still have been looking for there moms and dads to come and pick them up. If you collect teddies or are thinking about making the present, please, visit the page (Looking for You) Looking for You, where you can look through all photos of Teddies that are still alone . On the page Gallery you may have a look on the pictures uploaded by site-visitors , leave your own works, participate in discussions and vote for beloved items. On the page Blogs every site-visitor can create his/her own live journal, hold different debates and find friends. Forum gives you an opportunity to communicate, leave comments, ask questions and just to write what ever you want. 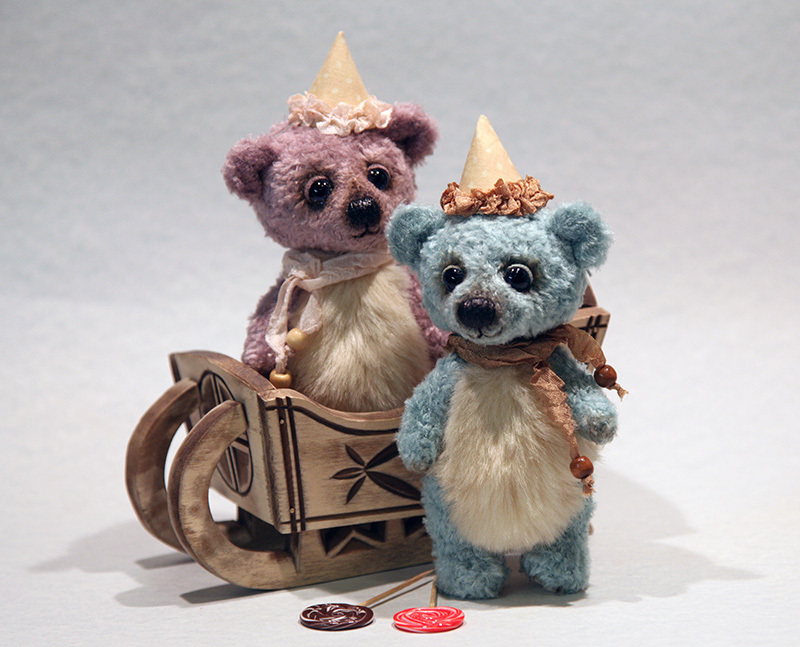 If you want to see not only the photo bears, and find out what I do, to see more pictures, welcome to my blog.